The scale of the Australian solar market grew rapidly in 2018 after years of remaining roughly at a level of just 1GW. The total solar demand of the market for 2018 is estimated to have reached 4.4GW, which would be 3.17 times as much as that for 2017. This growth would be also the largest among all regional markets for the year. 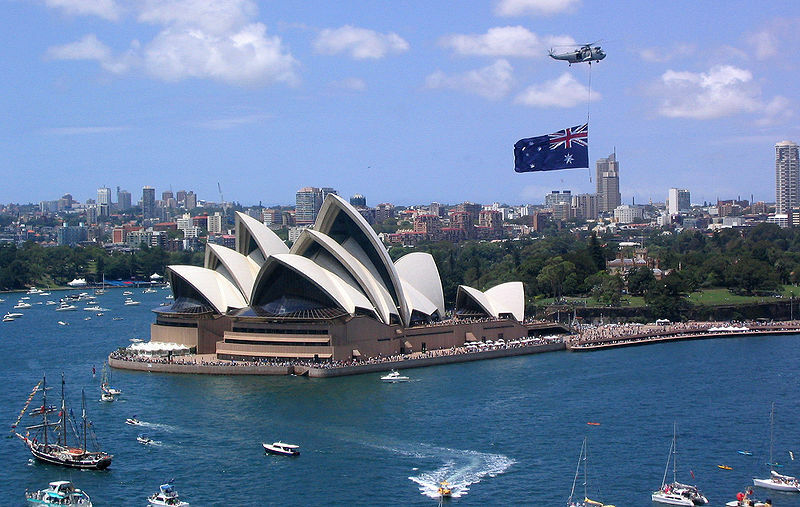 The latest analysis of the Australian market by EnergyTrend, a division of TrendForce, finds that this recent boom is attributed to government policies that incentivize the construction of large-scale PV power plants. EnergyTrend’s Regional Report – Australia provides up-to-date tracking data on PV imports and information on the latest developments related to polices, demand, and projects in the pipeline. According to the report, renewable generation currently comprises around 6% of the total electricity consumed in Australia. Compared with other renewable resources, solar PV has experienced the strongest growth in the country. Just within Australia’s renewable energy market, the share of solar PV in the total generation capacity had already expanded from 0.07% in 1997 to 19.95% in 2016. With the government’s official Renewable Energy Target (RET) set at 33,000GWh on 2020, solar PV has emerged as the primary technology for building renewable generation and is expected to account for a greater portion of Australia’s electricity mix in the future. Australia’s import demand began to rise noticeably since 2Q17, and the whole 2018 saw monthly module imports surpassing 250MW on average. The share of >300W modules in the total module imports saw an increase over the two-year period, while that of <300W modules saw a decrease. However, the former experienced greater fluctuations in volume growth than did the latter. These trends, which are illustrated in Figure 1, also align with EnergyTrend’s observations of the pipeline of solar projects in Australia. Since 2H17, the country has seen an increase in the construction of >100MW PV power plants. Nine of these projects already completed their grid connection during the first three quarters of 2018, bringing the newly installed PV capacity of the country to nearly 3GW for the period and over 4GW for the whole year. Based on the track to Australia’s PV project pipeline, EnergyTrend forecasts that the total demand of the Australian solar market for 2019 will top 4GW, which would be at the same level as the year before. On the other hand, Australia is anticipated to reach its renewable generation target of 33,000GWh much earlier in 2H19. Looking down the pipeline, there are fewer projects that are slated for development in 2020 and after. Furthermore, these later projects are also relatively smaller in capacity scale. EnergyTrend thus believes that 2018 and 2019 represent the peak demand period within these recent years. Based on the available market data, EnergyTrend forecasts that Australia’s solar demand will drop off from its peak in 2019 but then start to stabilize in the following years. In the long run, the country will continue to have an enormous market potential due to its geography and policies. PV systems across 90% of Australia’s land surface can generate an annual average of 1,500kWh for every kWp installed. At the same time, state governments remain highly proactive in the area of renewable generation. Queensland, New South Wales, Victoria, and South Australia all have put forth initiatives that set higher targets than those under the federal policies. Considering these factors, EnergyTrend believes that the Australian solar market may be able provide a high and steady level of demand for PV manufacturers in the future.